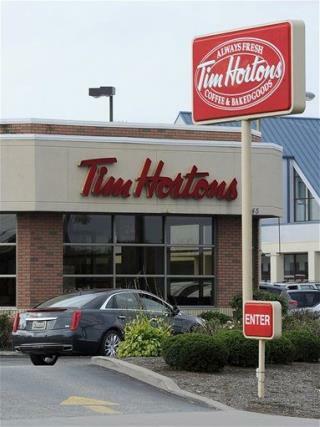 (Newser) – In what may be the most Canadian of crimes this week, a 31-year-old man allegedly hijacked a Toronto Transit Commission bus and forced the driver at knifepoint to take him to … a Tim Hortons coffee shop, the CBC reports. A local police constable says the man got onto the bus around 12:20am Friday and brandished a large knife in front of the driver, leading all the other passengers to run off the bus, the Toronto Sun reports. The suspect then allegedly directed the driver to blow through red lights and whisk him to his desired coffee-and-doughnut destination, a national mainstay. The police were alerted and arrested Daniel Ferreira inside the eatery, where a source tells the Sun he was sitting and sipping his coffee. why? that coffee is really sh*tty.